Let’s examine two very important realities of digital marketing, circa 2017. 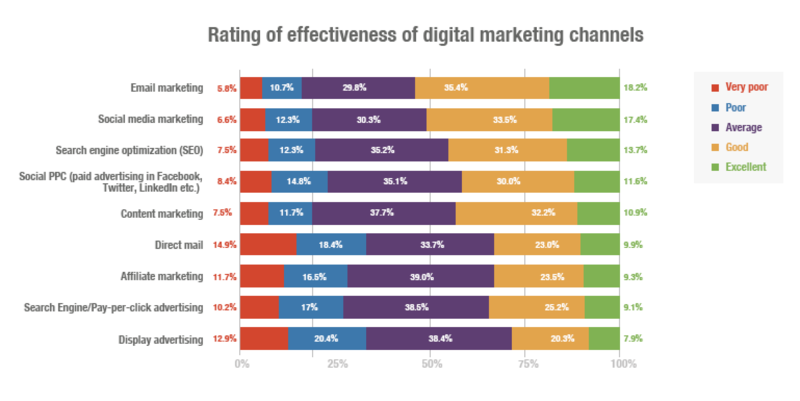 A recently published study and report, Email Marketing & Marketing Automation Excellence 2017, shows that email—compared to the gamut of digital marketing channels—is rated as the most effective. 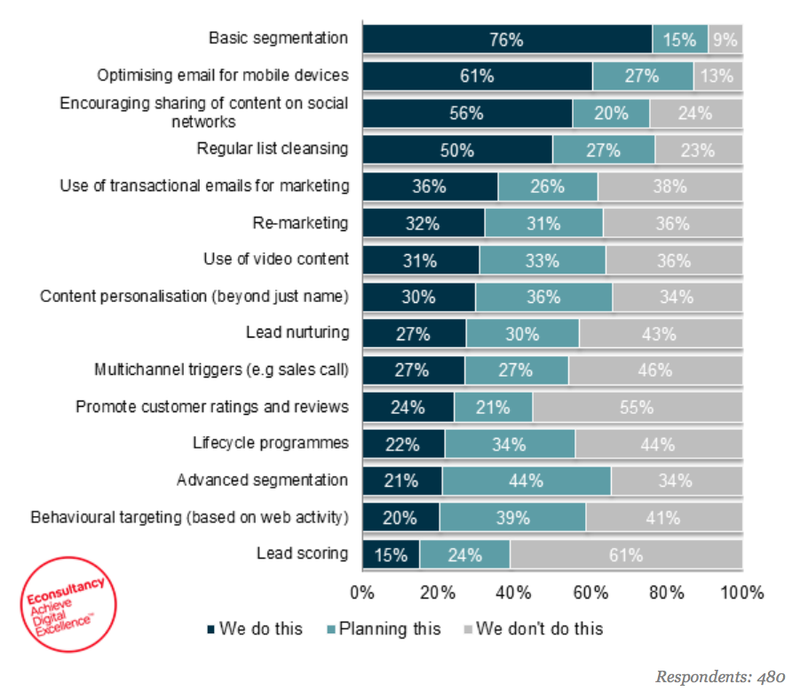 That’s a list that should motivate you to think about how you approach email. Let’s move on to reality number two: personalization is all powerful. As customer expectations rise, another undeniable reality is relevance rules. If I have a dog (or two), don’t send me cat food promotions. If I’m the parent of a college-aged kids, don’t send me diaper coupons. It’s that simple. The recipe for success is to understand there’s no universal recipe for success. Great marketers appeal to their customers’ tastes. You don’t get anywhere until you learn what those tastes are. Personalization is critical for marketers seeking to enhance customer centricity and engagement. More customer touch points lead to greater personalization challenges. Firms struggle most with new channels and contextual data. Fewer than half of firms use customer interaction and contextual data for personalization, which means most of their efforts are general. At the risk of stating the obvious, you can’t send personalized email unless you know something about the person you’re sending it to. Your challenge is clear: learn more about your prospect or customer. Of course, you can do so by loading up your landing pages and forms with questions, but the old adage still applies: more fields = fewer responses. A better option is to simply parlay data gathered from your interactions into subsequent email autoresponders. You like beer? Cheers! Let’s talk about beer. You like wine? Red, white, rosé or sparkling? You probably know that at ShortStack, we’re all about helping brands connect with their followers via contests, giveaways, and an ever-expanding spectrum of digital promotions. The result is that in addition to appealing to the audience’s appetite for having fun, shopping, and learning, you — the marketing pro — get to know something significant regarding your prospect’s interests. And it gets even better when you escalate the conversation to a more personal level. In this email, ShortStack didn’t dig deep into my psyche. They still don’t know I’m into the NBA, tennis, and dogs. They simply asked me my name and email address. Basic stuff. The point was to show me how autoresponders work. And a moment later, they showed me, automatically. 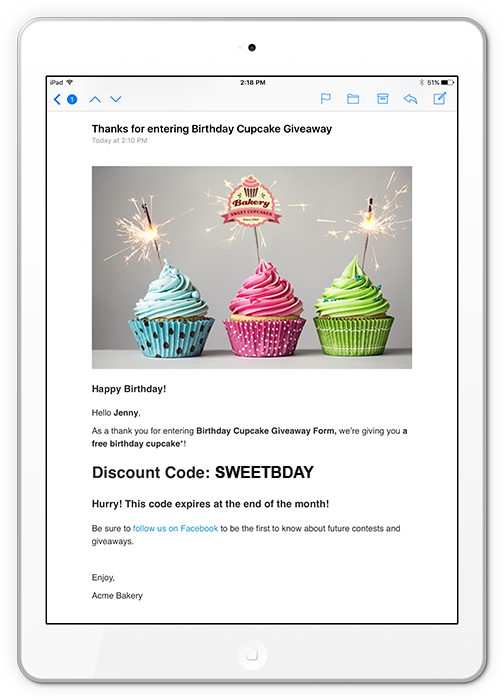 So, how else might an email create better, more customized experiences? Thanks for asking. It’s time for a little show and tell. Those who have a bad attitude about entering contests are generally indifferent because they believe they won’t win. Prove them wrong. Your contest can make a winner of every entrant. Maybe you operate a bakery and your promotion offers a big prize for one, two or three players. That’s fair. But now consider how your contest might have no losers. Everyone who entered gets a birthday treat. All you need to know is their name, email address and birthday. Your autoresponder is simply a birthday present in the form of a little cake. Sweet. You can inject flexibility and fun into your contest by inviting contestants to pick their prize. The strategy is bound to hop up participation. Consider a contest from a sporting goods retailer, for instance, that offers SCUBA gear as its only prize. It’s risky. Some customers won’t dare submerge themselves in the salty waters. Instead, prize options might include choices for cyclists, boaters, skiers, hikers, runners, golfers, and tennis players. The contestants, of course, indicates their recreational preferences and your subsequent email caters to them. This one’s a simple one-two punch (at least to begin with) with the end goal being to deliver something that appeals to your customer’s tastes. 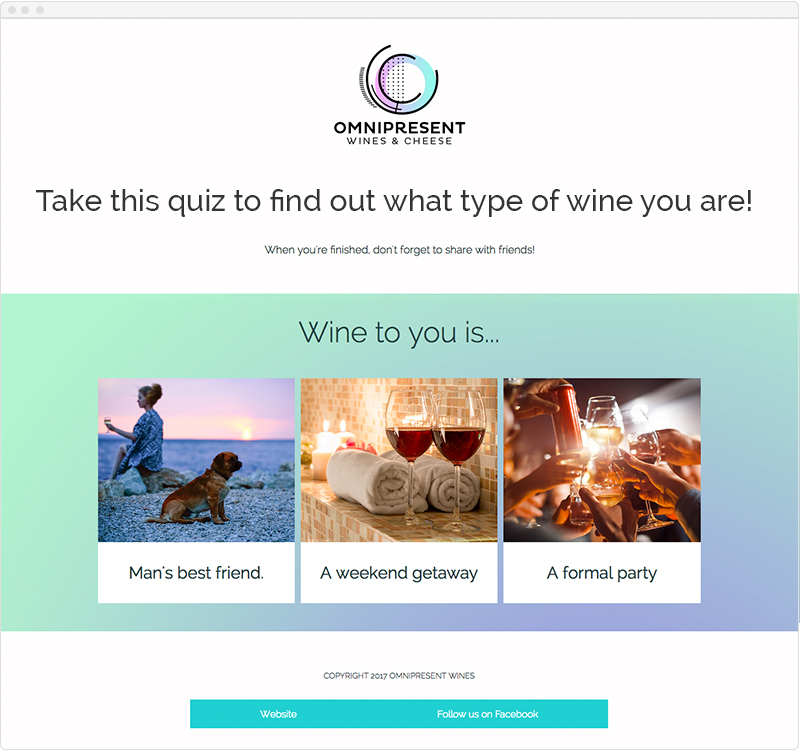 In the first step, you create a simple quiz or survey where participants indicate their preferences with their answers. The hugely popular personality quiz provides a great example of how this approach works. You learn something about your prospect. Step two, of course, is the delivery of the email autoresponder in which you give a taste of what you offered based on the tastes of the person. 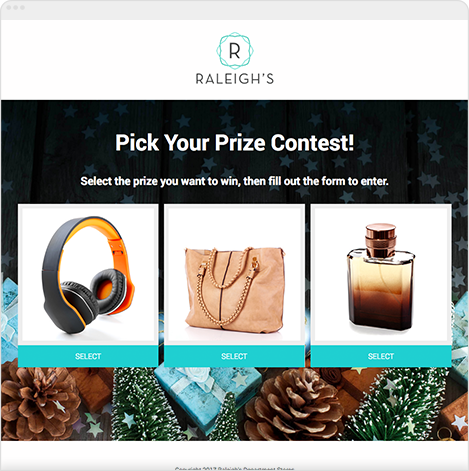 While a generic coupon may have its place, this simple automation enables you to tailor your response, which is bound to help your brand win over more triers, then, buyers. 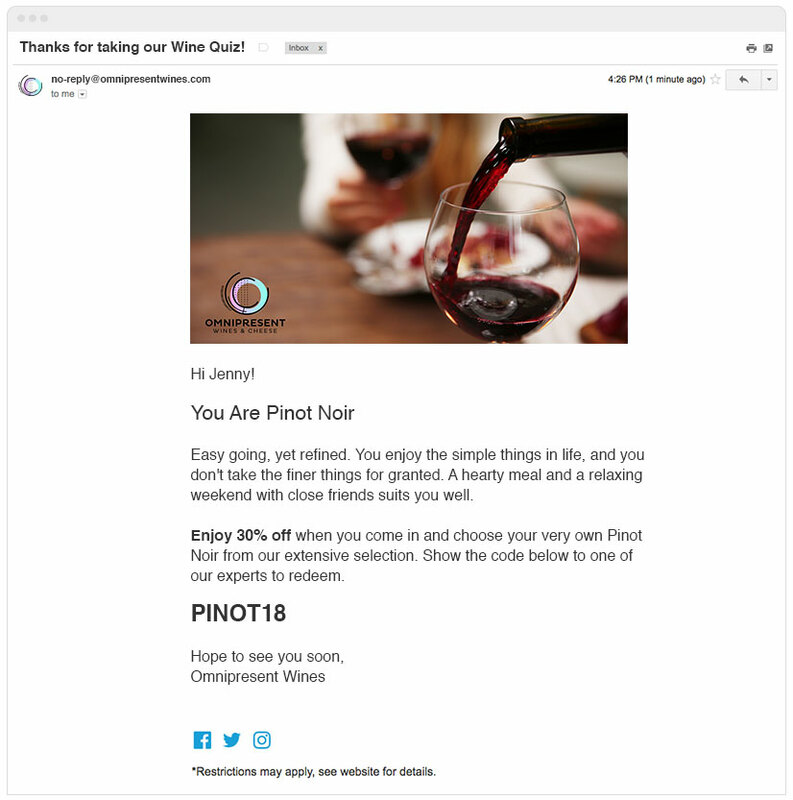 A smart and interesting approach to marrying promotions with subsequent email triggered by behavior is to plan multiple stages instead of a one-and-done event. Every entrant is immediately thanked with an incentive. Say… c’mon in for 2-for-1 drinks for the game. The competition hasn’t quite started yet, so entrants are incentivized to refer their friends. The competition is a tournament, so participants are congratulated for advancing. They may be rewarded too. The participant didn’t survive the last round, but is sent email encouraging him or her to stay involved. Voting in a photo contest is one example. You can play with this strategy every which way and devise ways to continue sending email to keep the promotion interesting and increase engagement with your brand. The “free starter,” trial or taste is an immensely popular strategy used for software, information products, and just about anything that can be sampled. Invitations to write a review, submit a rating, create content, etc. Countdown the days to Christmas. Conduct a 12 days of Christmas promotion. Certain deals or items are bound to have deadlines, drop-dead dates for shipping, etc. Everyone playing along will need to be informed of these things, right? Opportunities to win tickets, discounts, etc. Isn’t this automation stuff hard? It was. It’s not anymore. In this post, we’ve tossed around a lot of email autoresponder ideas. There’s no end to what you can do. This is powerful stuff. It increases top-of-mind with prospects. As you’ve gathered, the more you tailor your communications, the more you inspire your audience to participate in your promotions. Your results will include greater relevance, longevity, and conversion. Results from a 2015 showed only 20 percent of marketers were then implementing behavioral email marketing based on web activity. So what gives? Well, look closely and you’ll see 39 percent claimed they were planning to jump aboard. The snag then—and perhaps still—is moving into segmentation, personalization and triggered email generally requires investing in and learning how to properly use marketing automation platforms. Gulp. Yes, most are expensive. Perhaps even more significantly, they have steep learning curves. Sadly, many companies invest in marketing automation platforms and fail to dig beneath the surface of what they can do. ShortStack’s determined to topple this problem. 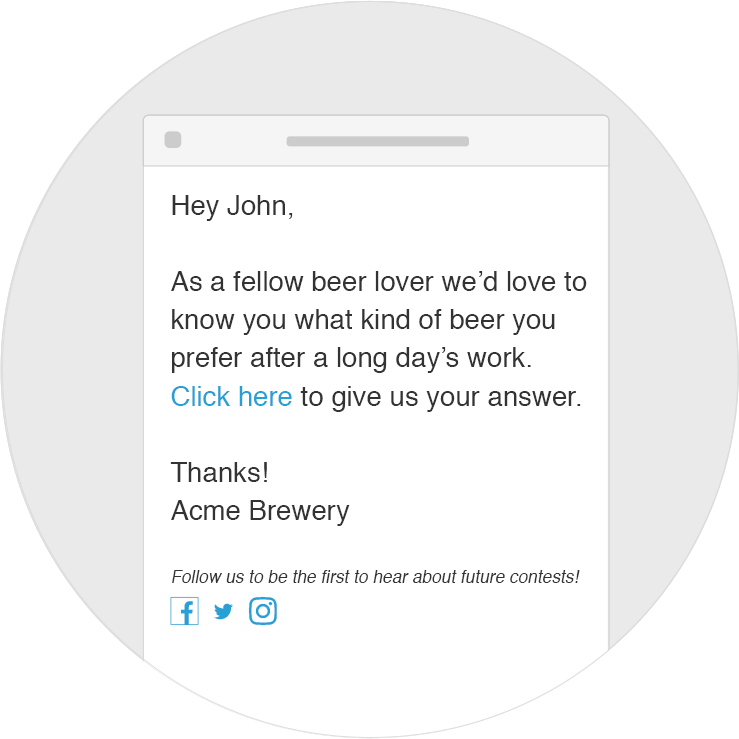 Because our platform makes it easy to gather relevant personalized data based on user interactions, we’ve expanded it so it becomes easy for you to parlay the power of the data into customized email autoresponders. 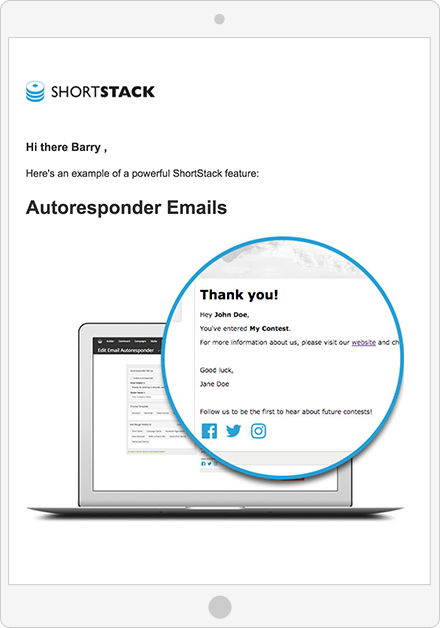 It’s simpler than you’ve ever seen—or may have imagined—to create an autoresponder series with ShortStack. Allow us to show you how it’s done.